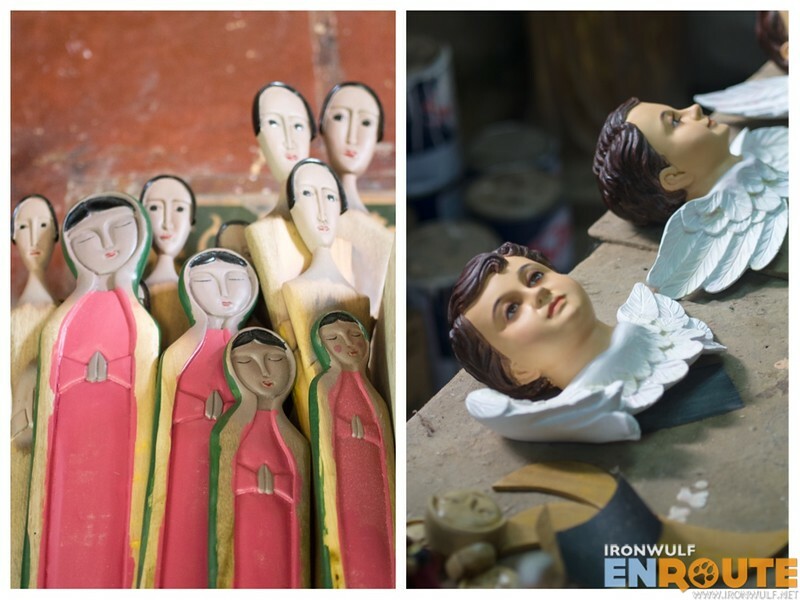 The Paete Woodcarving tradition runs deep in history, dating back in the pre-Spanish era. 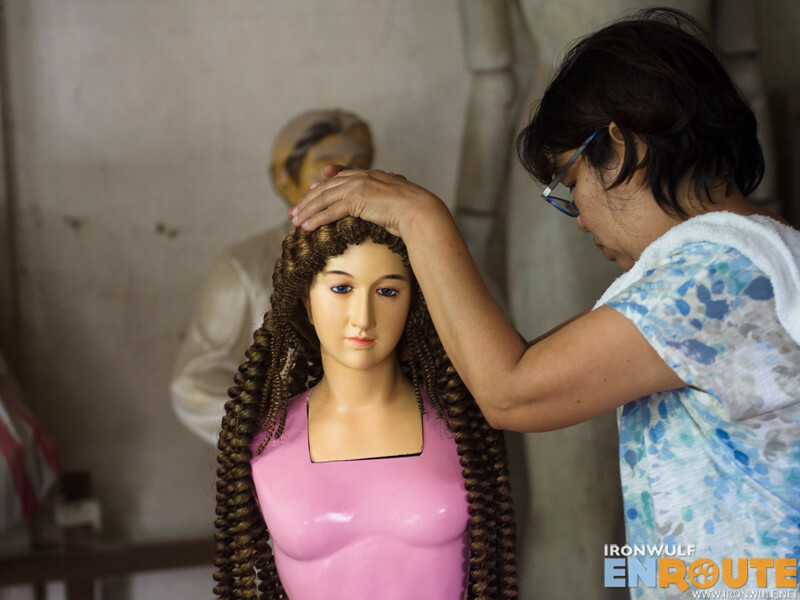 Even the town’s name, Paete, goes away from the Spanish colonizer’s norms of naming places after saints. It was a result of a misunderstanding between a native and a Franciscan priest. 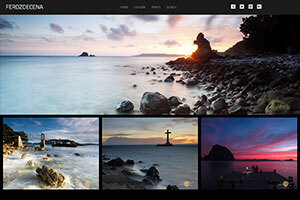 When asked what the place was, the native replied, Paete, referring to his chisel. He thought the priest was asking about the tool he was using. 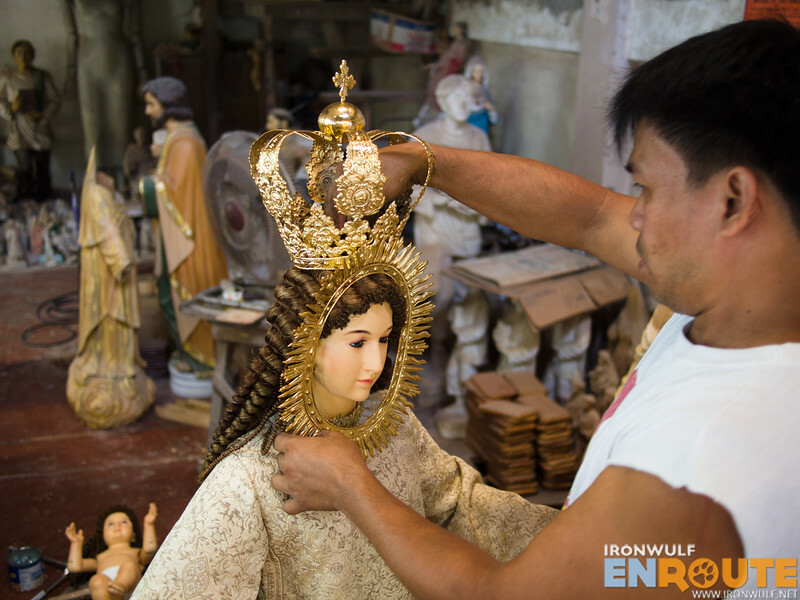 By 1580, Paetenians honed their craft by carving retablos and images used to ornate the churches in town and neighboring towns in Laguna. 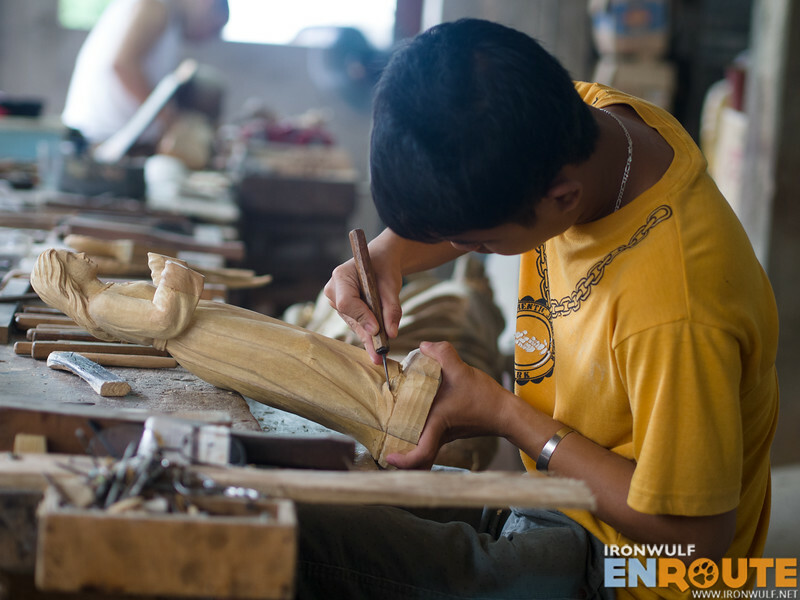 Even at this time, families have continued the tradition Paete woodcarving. 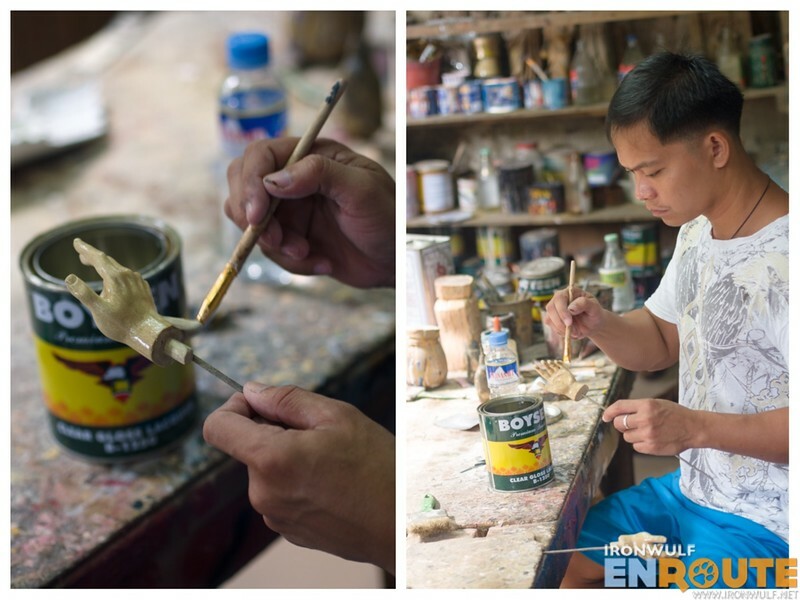 One noteable wood carver is Justino “Paloy” Cagayat, Jr. 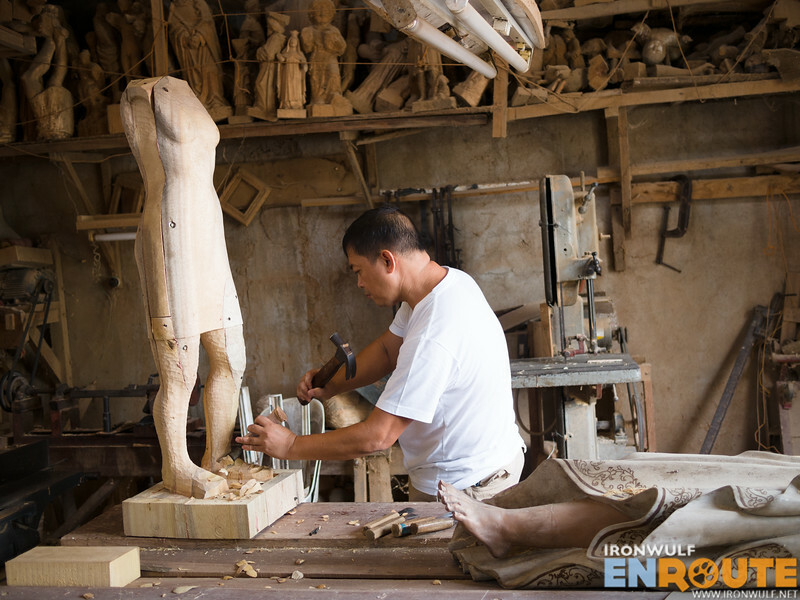 Already 3rd of his generation, his family owns one of the bigger open air wood carving workshops in Paete. Some of his prominent works are: the image of San Pedro Calungsod, which was brought to Rome for the canonization of the Filipino’s 2nd saint; the paper mache image of Ninoy Aquino, a work commissioned by the former President Corazon Aquino for Ninoy’s 10th Death Anniversary; and Paloy also got commercial fame when he daringly carved the mythical figure “Machete” used in the movies that starred Cesar Montano in 1990 and Gardo Versoza in 1993. I watch in awe as Paloy worked on one of the religious image he was commissioned fto do. 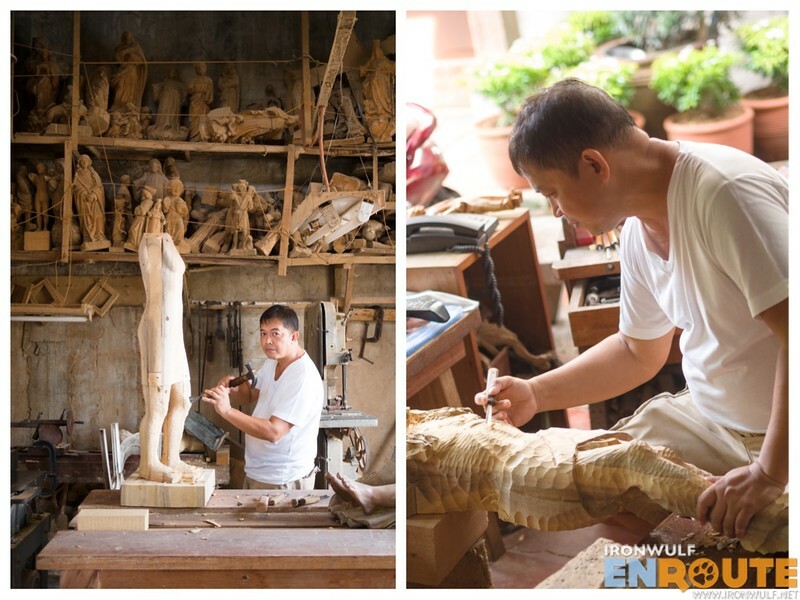 He prefers to use batikuling wood – a soft wood abundant in the Sierra Mountain ranges whose scent naturally repels termites, ants and even wood worms. 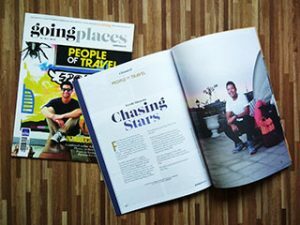 Occasionally by request, he also works on pricier woods like kamagong or narra. We watch how he manages the shop and his people. He has sharp eyes as minuscule details doesn’t escape him. His workers are his extension, making sure the quality remains. It would seem Paloy’s influnce on woodcarving has brushed off to the next generation of his family. His son, Franco Cagayat, is making a name for himself in carving model cars and other vehicles. Assuring the Cagayat art will continue on.